Overall results of the test are more representative of a patients swallowing function, because the issue of fatigue, disorientation and testing delays, related to transportation to a hospital are eliminated. 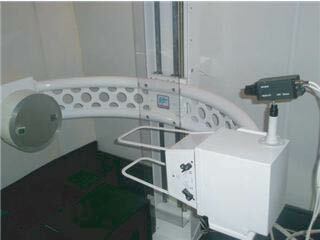 Performed inside the mobile clinic that is parked outside the facility, not portable equipment that is transferred into a facility, Patient is brought outside to the clinic in their wheelchair and with the assistance of an electric wheelchair lift, similar to those used in public transportation settings; they are allowed easy access to the clinic. "Serving Greater Puget Sound and Spokane/Coeur d’Alene"